Honey is a highly beneficial ingredient for skin because, in addition to combating premature wrinkles and give brightness to the skin, can also improve acne cases. Dedicate time each week to prepare these face masks and rejuvenates the face with surprising results in the most natural way. In this article we present some recipes to prepare at home miraculous masks with powerful antioxidant properties that will return to your skin firmness and elasticity. For this treatment to be effective, we must consider some tips that will always be very respectful of our skin and our health in general. Get one of these masks once or twice per week on the skin clean and dry. While you do not have put other activities. Lie down with the lights off and relax. On closed eyes can you put two cotton soaked in chamomile or rose water, or two slices of cucumber? Withdraw the mask with warm or cold water, but always gently. Then, apply the tonic and moisturizing lotion with a gentle massage upward and outward. This green mask is ideal for mixed and dry skin, prone to wrinkles and flaking. The avocado is a fruit rich in essential fatty acids, which gives shine and elasticity to the skin while the oatmeal soothes and moisturizes without oiling. Crush some very ripe avocado and mix with a little milk to oatmeal to get one, a little liquid homogeneous texture, but not dripping with ease. This appetizing mask is suitable for mixed or impure skin and pimples, as it provides hydration while cleaning the skin of blackheads, acne, etc. The ripe banana is rich in potassium, a mineral that helps prevent wrinkles. 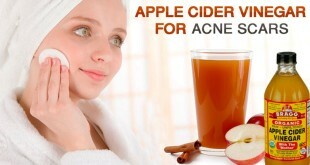 Also, if we have acne we should know that we can use to cleanse your skin complexion night. We just have to rub the inside of the shell in the affected area. Brewer’s yeast is an excellent skin cleanser. We can take as a supplement and fulfill ourselves masks periodically. Thus we multiply their effects and treatment is very complete. People who want to prevent wrinkles but have combination skin or fat may choose this mask because it regulates sebum production without causing dryness, by combining clay with yogurt. 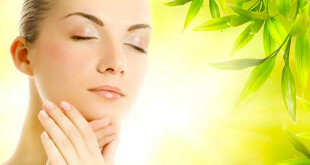 Clay is a natural remedy that remineralizes skin, while extracts impurities and deep cleans. However, some people less fat dry areas of the face. 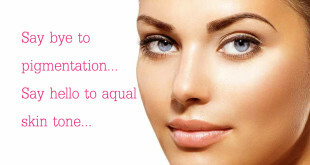 Therefore we combine it with yogurt instead of water, as thus better maintain the natural moisture of the skin. We can use green or pink clay. Most importantly, do not forget that we cannot use plastic containers or utensils or metal, so that the clay does not lose properties. This sweet mask is suitable for all skin types. Honey is a natural food with many health properties and for skin care because it allows us to treat premature wrinkles, scars, infections, off or sagging skin, etc. Rice milk is reminiscent of the ancient remedies of Japanese women, who used this cereal in different ways to maintain youth’s face. This mask is suitable for all skin types as it is very nourishing but not greasy, and rejuvenates the face immediately. The yolk nourishes the skin deep thanks to its content in healthy fats, whiles the clear tones and improves firmness. Only we have to beat an egg to bind both parties. We can use the time to prepare omelets to separate a teaspoon we will use for the mask. This will not waste the remaining egg.